Most of us don't give it a second thought when we throw away an expired bottle of milk. But did you realise your home is likely full of items that have exceeded their shelf life? While it's obvious when it comes to food items, it's often not as easy to determine with other things around the home. But as research shows, nearly all gadgets have a use by date. Here we reveal the items you should be replacing far more frequently than you are. For many of us our hair straighteners are seen as an investment rather than something that we look to replace regularly. Even if they seem to be powering on years after you purchased them, they do have an expiry date. According to Mamamia, GHD education manager Robert Kovacs says old straighteners can damage your hair. "The condition of your hair may be affected. It can cause dry and split ends, and lack of shine" he said. "Like all electrical tools, how long they last depends on how often you use them but we would suggest no longer than four years." There's no doubt slippers can be a great comfort on a cold winter morning. But according to news website Bright Side our comfy footwear is the perfect environment for spreading fungal infection. Slippers must be washed properly and as much as possible. To be super hygienic you should look to replace them every six months. Most women will wait until their makeup runs out before they think about replacing it but did you know that, just like food, makeup comes with a use by date? On the base of a product, you can usually find a number which pertains to how many months the cosmetic is fresh for. Foundation and concealer is known to last up to 18 months and bronzers up to two years, but mascaras and eyeliners should go in the bin after three months. Pillows look after our heads during sleep so we should definitely keep them in tip-top condition - which might mean replacing them every two to three years. 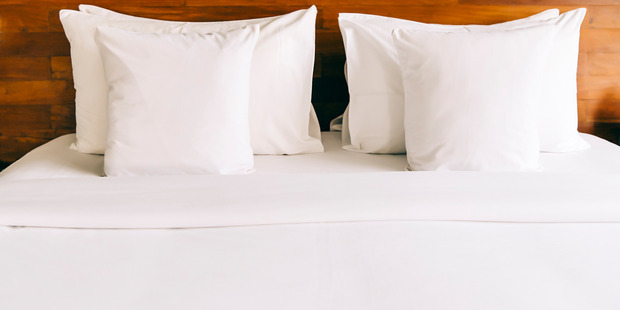 Lisa Artis, from the UK sleep council said "when they have lost their 'loft' or height and become lumpy, discoloured or misshapen they should be replaced. "A good pillow should hold your head in the correct alignment - that is, in the same relation to your shoulders and spine as if you were standing upright with the correct posture. "It should also be tucked well into the neck and shoulder to support your head fully." Most women would likely admit to holding on to their favourite bra until the wire pops out. But a bra expert suggests that your lingerie should never see a birthday. Elise Recour, general manager for UK bra manufacturer Gossard says "this may sound extravagant, but if you are wearing a bra regularly, even if it's high quality and you take good care of it, you will start to lose support and comfort, and the boost and uplift you bought it for will be substantially reduced after eight months or so." 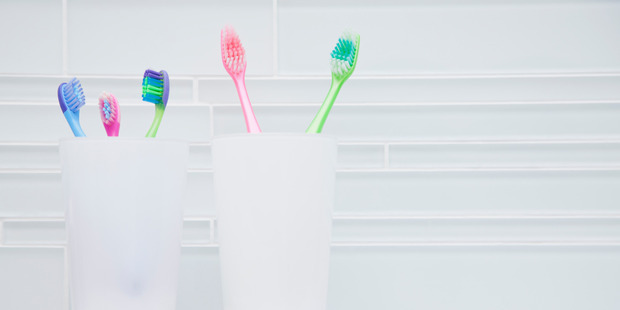 When should you replace your toothbrush? If you answered, when it starts losing its shape, you're not quite right. Dr Amer Saeed, clinical director of garden square dental in West London says "dental experts recommend manyal and electric brushes should be changed once a month if you suffer with bleeding gums and after three months in any case. "Although you may not be able to see any damage - a combination of wear and tear and poor brush maintenance can cause a huge buildup of bacteria which can lead to contamination of the gums and possible infection." It's cruel to think our trusty loofah would do anything other than make us feel clean but experts warn that by not regularly replacing them you pose serious health risks to yourself. UK-based dermatologist Dr Sam Bunting advises that plastic loofahs should be replaced at least every two months to avoid a bacterial build up. To keep a loofah clean over that time, you can wet it and put it on a medium heat in the microwave for 30 to 60 seconds. They don't have to be replaced as regularly as bras but wooden spoons do have an expiry date. Compared to plastic or metal, wood is more susceptible to carrying germs and bacteria, explains John Oxford, Professor of Virology at Barts and London Hospital. The bacteria particularly prevalent in the kitchen is E. coli, usually from raw meat or children with poor hygiene habits. This can lead to severe food poisoning. 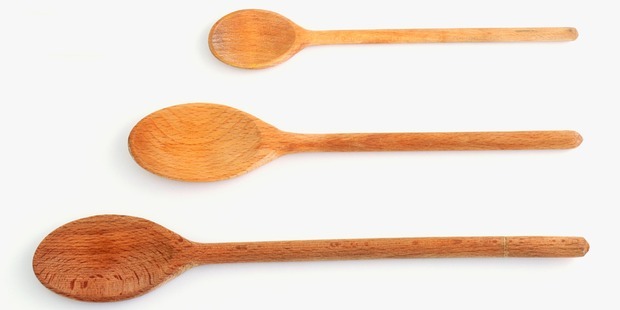 It is recommended that the utensil is replaced after five years, but earlier if the wood cracks, or if any part becomes soft or dark, as this could mean the wood is beginning to rot. Did you know a single hair follicle can house 50,000 germs? So your brush can be a haven for bugs. Brushes are also awesome at picking up residue from hair products which can become sticky and gather dirt. Consultant dermatologist Dr Andrew Wright said: "We also have lots of bacteria on the skin and what may affect one person may not affect another." Diseases such as impetigo, a contagious skin infection that usually produces blisters or sores on the face, neck or hands, can spread from one person to another by sharing a brush. Wooden nail files or emery boards are difficult to clean and easily accumulate germs in the crevices. Dr Wright says if the file is used on a split or lifted nail, this could cause localised infection. He says if more than one person uses the file, infection can spread from person to person. As an alternative, invest in a glass nail file, which is not porous and can be washed under very hot running water. If you're not using a glass alternative, they should be replaced after three uses.